Various types of meetings are organized in our daily life, where we gather for discussion on any particular topic. An effective planning to achieve a particular goal is needed, in forms same come in handy. 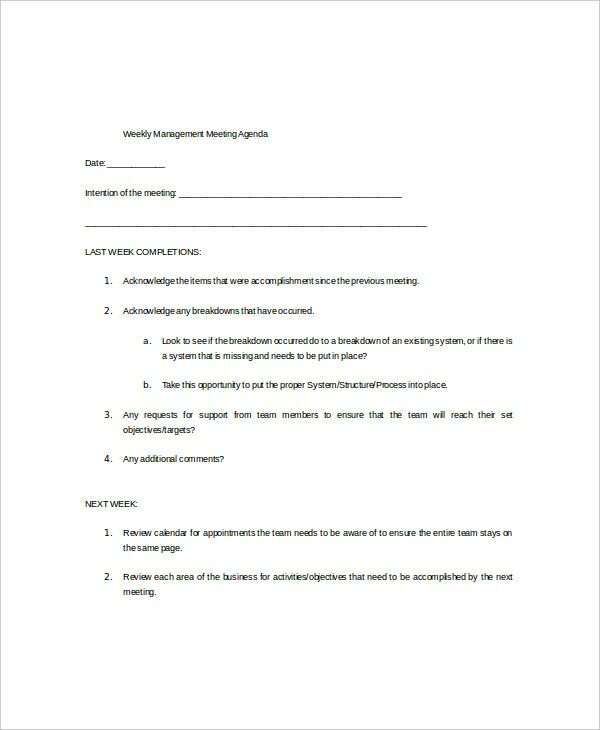 Weekly meeting agenda templates act like guidelines that provide a platform to discuss on a single track. 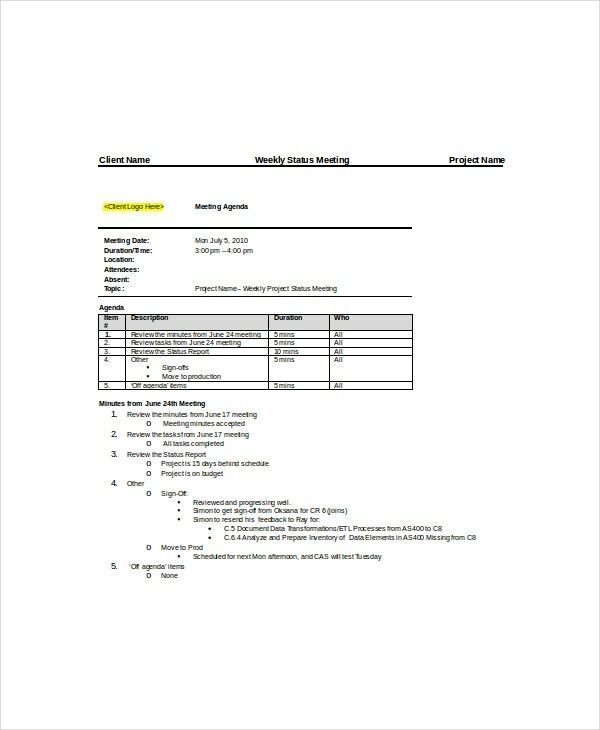 Weekly meeting agenda template is not for a one-time meeting. It is usually used for series of meetings that are organized on a weekly basis to give attention on a particular object. You can also see School Agenda Templates. In a team, unity is the key point to work together for any particular target. Weekly team meeting agenda is the first step to go ahead on this way. This template is not for a week instead of this, it provides steps from where you can get started with the implementation of few steps of this agenda. Some meetings are more productive rather than other non-productive ones. Weekly business meetings are holding to get more productivity. 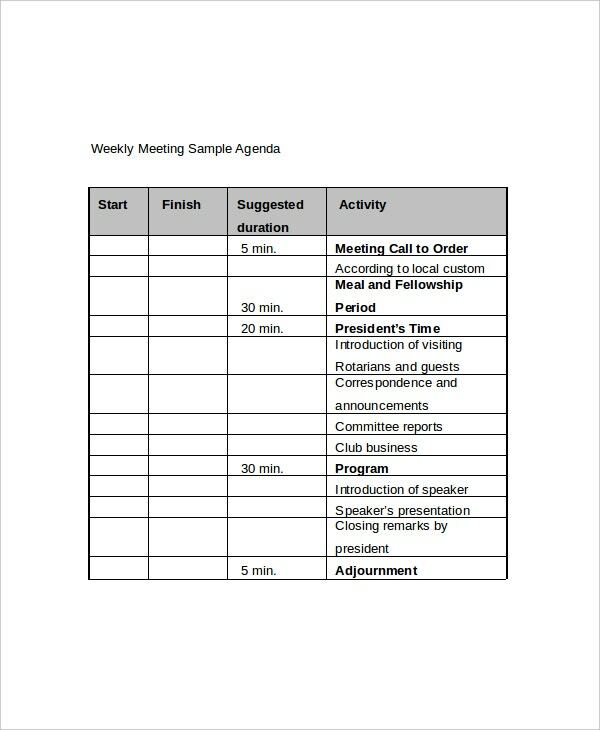 A weekly business meeting agenda template is designed to identify the areas which need to gain attention. 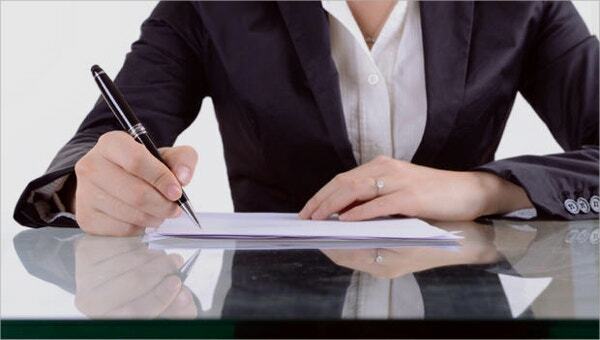 These Agenda Templates can be modified as the requirement according to the overall progress of a business. Every template is designed according to the past records as well as progress. 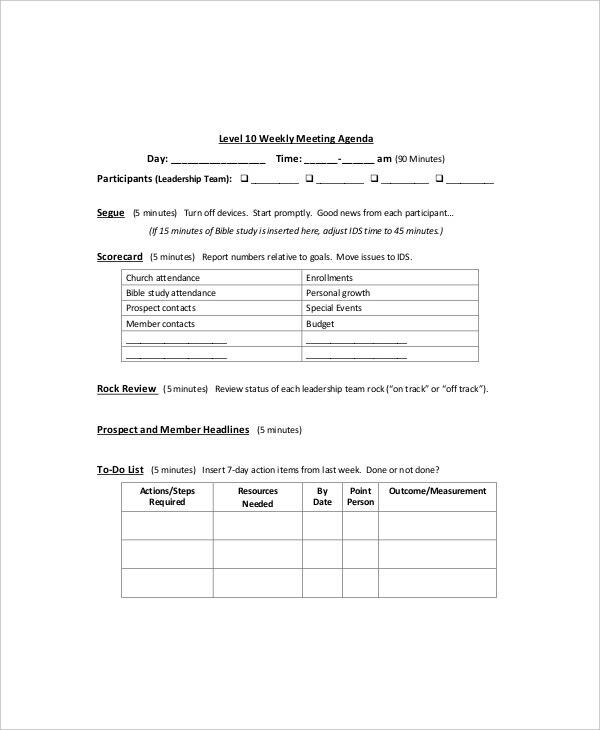 This agenda template can be a review of accomplishing work or incomplete work. It gives some instruction to every employee such as where employees are going to work, whom they will work for, what will the productivity or even otherwise. A productive planning for any action is the key for weekly product meeting agenda. Templates meet the desired product which is the reason behind this agenda. 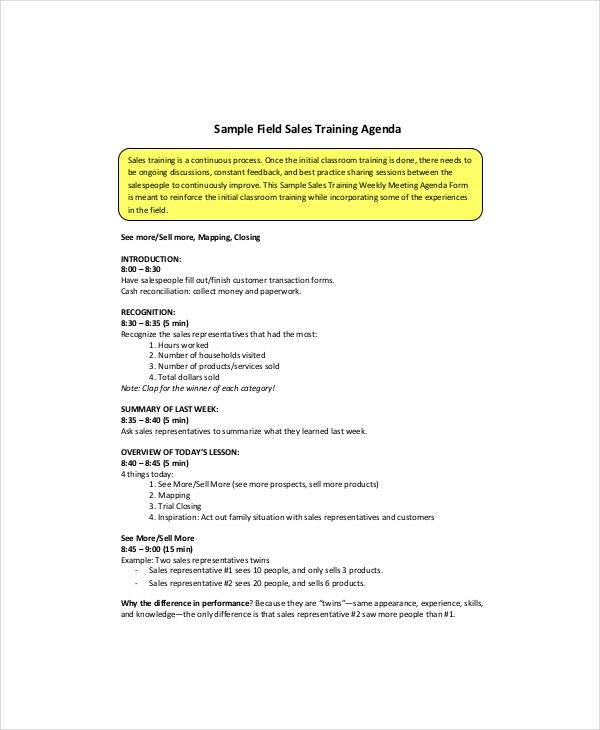 This agenda template is not about providing some step to get the product, instead, it is a guideline for any productive production. 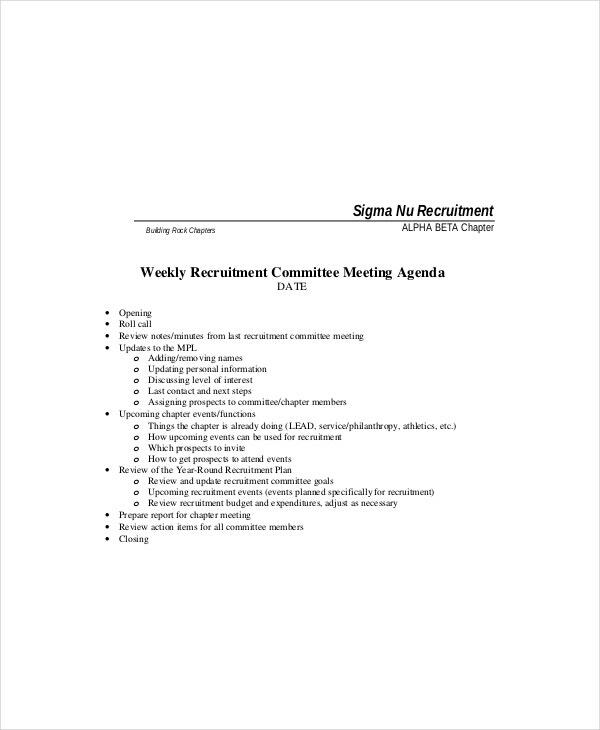 This is a weekly process of any committee to present the minutes of the committee to achieve respective target. 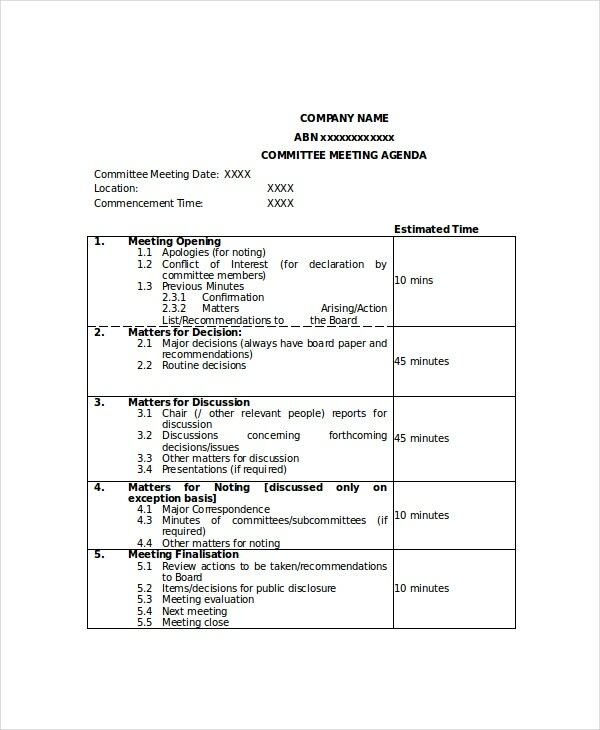 Weekly committee meeting agenda template is a planning of weekly board meetings with some particular guideline to decide the certain target and prevent the confusion and disputes. Basically, every meeting needs a good planning which usually comes from agenda templates. They come with complete research covering the needed object as well as targets. 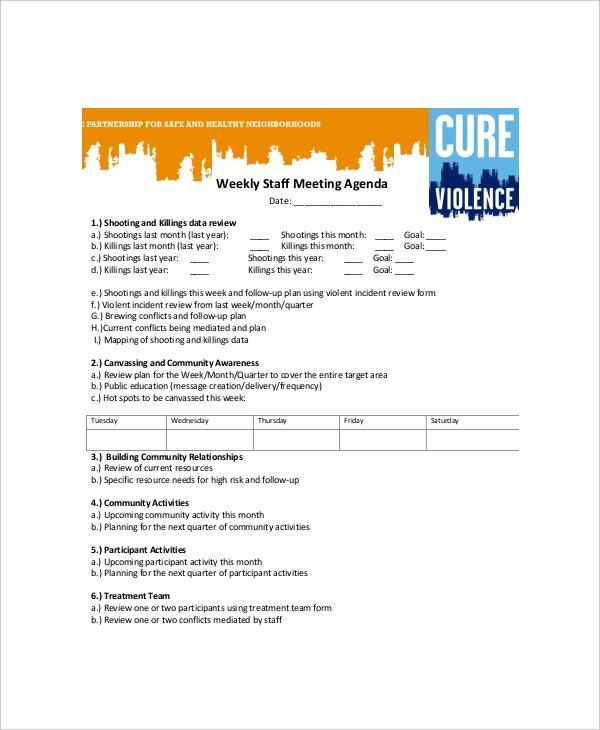 Weekly meeting agenda template comes in a planning for the attendees for particular responsibilities to particular objects. 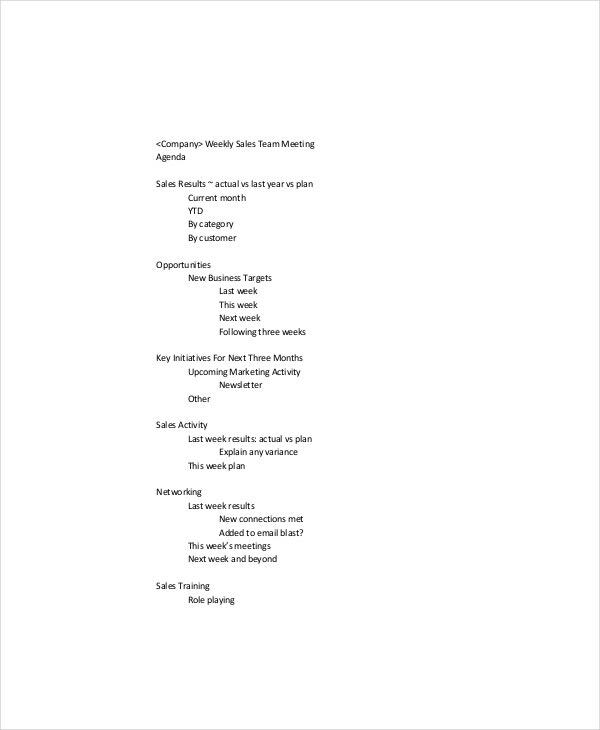 Weekly meeting agenda template is a complete form of guidelines to meet the productivity of some certain object. This is an agenda with the entire working group to meet them with their particular responsibility. 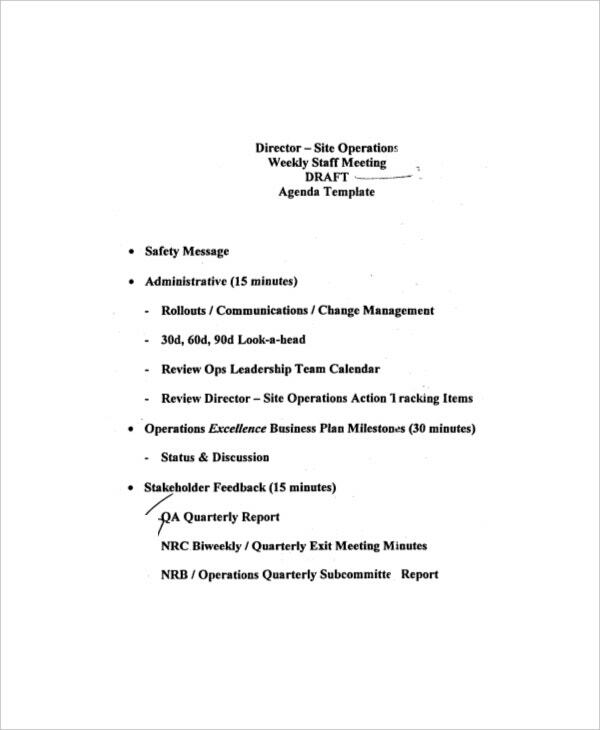 Weekly meeting agenda template includes some space for additional information which is a conclusion of any planning. You can also see Blank Meeting Agenda Templates. 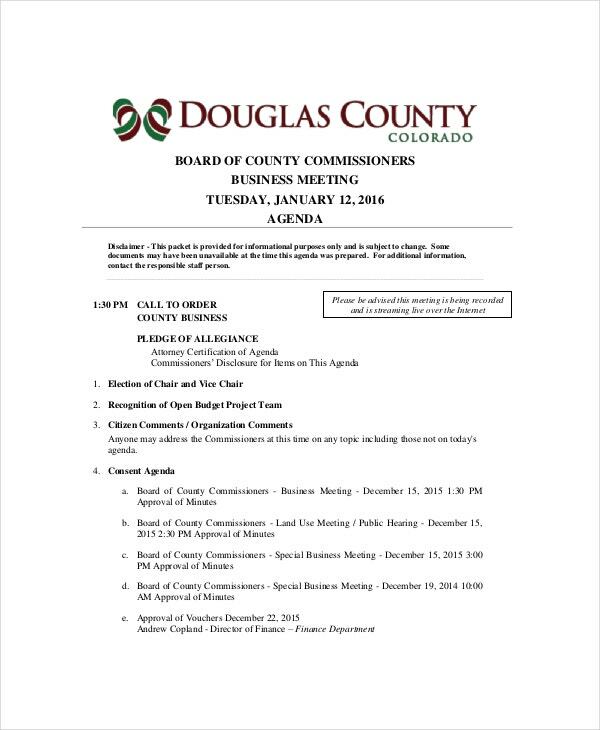 This agenda template should be explained with clear information about when and where be the meeting be held. It should include the name of all attendees as well as the declaration of the host. Purpose behind this meeting with the complete information should be maintained in the simple manner in this agenda template. When you are going to design an agenda template, we are the right choice to get started with. We present a huge range of designs for weekly meeting agenda template that can be easily downloaded not only in PDF files but also in the word document. Someone can easily modify as well as alteration in this agenda template according to their needs and requirements. It can easily generate printout from any printing device. You can also see Agenda Planner Templates.